We were all newbies, once so don't worry-- we are here to educate and help. -Use descriptive titles for your post subjects so we know what your post will be about. Please do not use symbols or unusual characters to draw attention to your post. -Turn your Caps Lock button OFF, as that is the equivalent of yelling. -Please use complete sentences with spaces and punctuation, as it is very difficult to read and understand your post without it (capitalization is optional). -Perfect spelling isn't required, but please make the effort to spell-check (look for the red underline beneath words) as chronic bad spelling can make your post hard to understand and can be irritating to some people. -Be considerate of others with slower internet connections. If posting a topic with a lot of images (For Sale, Past Events, etc. ), please make a note in your title. It is best to attach static images only (no animations or .gifs). Please note that guests are allowed to view the forum, but only members are allowed to reply to a topic and start a new topic. To become a member, you need to register (its free and only takes a few minutes). -Click the Register button in the top menu (it is towards the right side with a pen image). -You will be directed to an image verification page to prove you are human (and not a spamming robot). -After passing the image verification, you will be directed to the Terms of Service (TOS) page. Make sure you read it and fully understand it before agreeing to the terms. -After accepting the TOS, you will be asked to enter an e-mail address and create a username (for example, mine is volvie! ), and a password (do not share your password with anyone). Note: The e-mail address you enter will be used to send you any forum announcements/newsletters and is also where you will receive notification if someone sends you a Personal Message (PM), or replies to a topic you created and/or are watching. -After submitting that information, you will be asked to confirm your password and pass a Google ReCaptcha challenge. To pass the reCAPTCHA challenge, first click the "I am not a robot" box, and follow the directions of the recaptcha challenge that appears. Once successfully passed, a green check mark will appear next to the "I am not a robot" text. Click the save button to proceed. Note that the reCaptcha challenge may be slow to load, so please wait for it to load before confirming your password. -After passing the reCapcha challenge, an e-mail will be sent to the e-mail address you entered to verify your account. Check your e-mail for this message and click on the link provided. Your account will now be activated. Note that you will not be able to log in until your account is activated. Please check your spam box / folder if the message does not arrive in your inbox. -Click on the "log in" button on the right of the top menu (with the green X) to log in and join the discussion. -Make sure you are logged in to the forum. Click on the "log in" button on the right of the top menu to log in. When you are logged in, you should see that the "log in" button has been replaced with a "log out" button. -Navigate to the category and forum where the topic you want to reply to is located. -Click on the topic name. -When viewing the topic, you should see a "Post Reply" button at both the top and bottom of the page. Click on this button to view the full post writing/editing window. There is also a "Quick Reply" box/writing window at the bottom of the post where the post formatting options are a little more limited. -When finished typing your message, look for the "notify me when a reply is posted" text and select that check box to be notified via e-mail when someone relies to your topic. -You can also preview your message before sending to see what it will look like before posting. -When you are done, select "send," and your post will be sent to the forum. -Take a look at all the categories and forum descriptions to see which area best fits your topic idea. -Once inside a forum, look for a "new topic" button at the top and bottom of the forum frame. -Navigate to the forum that you want to watch. -Scroll down to the bottom of the post section and click the "Start watching forum" link (above the "jump to" menu). -The link will change to "Stop watching forum." Click this if you wish to stop receiving notifications. -This process can be completed for any / every forum. Go register, log in, and add to the discussions! 1-30-2018: Added FunCaptcha challenge information and screenshots to how to register section. 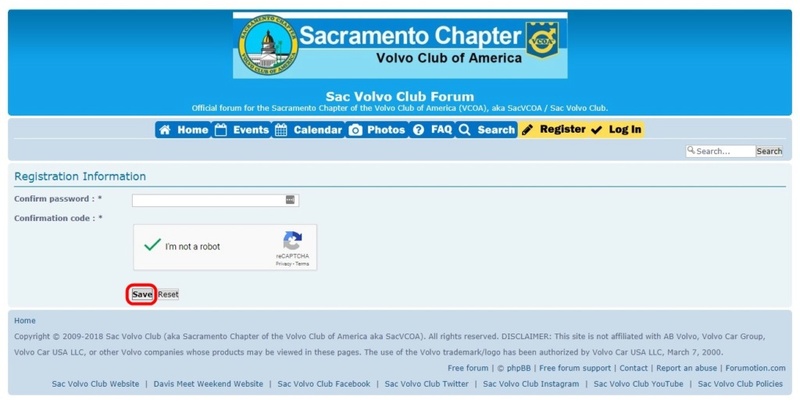 10-21-2018: FunCaptcha information and screenshots updated with Google reCaptcha information and screenshots in the how to register section.